With Jeff Skilling (and now Richard Scrushy) back in the news it seems fitting to revisit the world of “creative” accounting. In fact, the third edition of Financial Shenanigans by Howard M. Schilit and Jeremy Perler (McGraw-Hill, 2010) starts with Enron. What were some telltale signs that Enron was engaged in a massive accounting fraud? 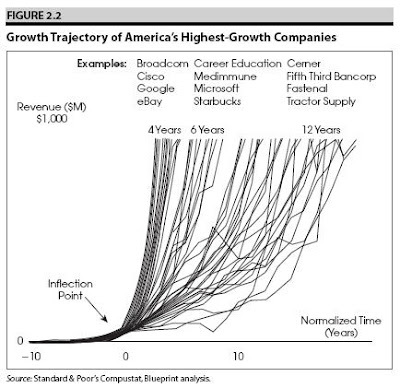 The simplest was that Enron’s revenue growth (from under $10 billion to over $100 billion in five years) defied reality. Moreover, Enron’s profits never kept pace with its sales. For instance, while sales grew by more than 150% in 2000, profits increased by less than 10%. In the five-year period that witnessed the tenfold growth in sales, profits didn’t even double. Financial Shenanigans is a fascinating book. In more than 300 pages it not only explains accounting ruses, it illustrates them with real-life examples. It shows how companies, even ostensibly reputable ones, try to hide their problems and how the savvy investor can ferret them out. It’s an ideal handbook for short sellers. Since trading is a business, it makes sense to look at business management books now and again. David G. Thomson’s Mastering the 7 Essentials of High-Growth Companies: Effective Lessons to Grow Your Business (Wiley, 2010) doesn’t have a lot to offer the individual trader. But here’s an interesting takeaway. More than 60% of the companies that went public in the last three decades no longer exist; 4% now have more than $1 billion in annual revenue. The highly successful 4% have a common growth curve. First, an entrepreneurial phase where an idea is transformed into a viable business model and growth is modest; the average length of this “runway” is five years. Second, an inflection point “where revenue breaks out into an exponential trajectory.” And, finally, variable growth rates to reach $1 billion in revenue. Ratchet down the dollars, but the growth curve (or equity curve) of highly successful traders should be somewhat similar. Lots of time figuring out a personal style and an edge, honing the craft, and carving out modest profits. And then, with very careful money management, increasing size and letting the powers of compounding work their exponential magic. What separates the winners from the losers? Although almost all companies had passionate management teams, the failing companies, Thomson contends, demonstrated “blind passion—they never knew when to quit. . . . These teams fail to self-correct.” (p. 21) In brief, we’re back to the themes of flexibility, agility, nimbleness. Only traders who are flexible, who can self-correct, stand a chance of joining and staying in the top 4%. Ichimoku Kinko Hyo is billed as an extension, perhaps even an evolution, of candlestick charting. I personally have never used it, so I approached Manesh Patel’s Trading with Ichimoku Clouds (Wiley, 2010) as a humble yet always skeptical novice. Since Ichimoku clouds are a price overlay, they clutter charts. Is the clutter worth it? To enlighten my fellow novices here’s Ichimoku in a nutshell, extracted from Patel’s book. The system is made up of five components: (1) the 9-period average of (highest high + lowest low)/2; (2) the 26-period average of the same formula; (3) the current price shifted back 26 periods; (4) (formula 1 + formula 2)/2 shifted forward in time 26 periods; and (5) the 52-period average of (highest high + highest low)/2 shifted forward by 26 periods. The fourth and fifth indicators combine to make up the Kumo cloud. The clouds are indications of current and future sentiment and the strength of that sentiment. They also provide support and resistance levels. In the longest chapter of the book, complete with 135 TradeStation charts, Patel takes the reader through a two-year backtest of trading the EUR/USD cross following a set of bullish and bearish entry and money management rules. There were a total of eight trades. Although the system was profitable, it had a poor risk to reward ratio: the entry risk was 2,249 and the profit was 1,507, not exactly ideal. So Patel shows how one could optimize the strategy. Patel rounds out his discussion by looking at other Ichimoku strategies (mainly crossovers and breakouts) and time elements in Ichimoku. Patel admits that he uses Gann’s time elements instead of Ichimoku’s. For anyone interested in Ichimoku trading, this book sets out guiding principles that the systems trader could test, modify, meld into another system—the opportunities are, as always, seemingly infinite. With practice the Kumo clouds might offer up some insights to the discretionary trader as well. I admit I remained unconvinced, but for me this is primarily a question of style. Perhaps I’m unconvinced in part because Patel has written such a refreshingly honest book. He could easily have cherrypicked his trade to make the strategy look like the holy grail. Instead, he offered up a profitable yet possibly flawed strategy (the sample size was too small to determine whether it was in fact flawed). He’s clearly not trying to sell snake oil. At the request of a reader I’m going to start including links to Amazon in my book reviews. I want to assure everyone that I am doing this for my readers’ convenience, not as part of a get rich quick scheme. The non-mandatory disclosure: I get a 4% referral fee when people go to Amazon via a link on my blog and buy something there. Alas, my own Amazon purchases are excluded. For those of you who have watched the ubiquitous Geico ads (and perhaps have a soft spot for them since, after all, Geico is a subsidiary of Berkshire Hathaway), here is a pedantic footnote. What in the world does the rightfully rejected ad phrase “It’s the bee’s knees” mean? The folks at phrases.org (UK) help us out. Start with the basic meaning of “excellent—the highest quality.” But then dig deeper, going on a trip to New Zealand, Zane Grey’s rural America, and the roaring 20s. And perhaps then you’ll decide that I’m writing pollywoppus. Infrastructure has been a hot investing topic for some time. Emerging markets are building it out, developed markets are working at fixing or upgrading it. In The Handbook of Infrastructure Investing (Wiley 2010) Michael D. Underhill has collected a set of papers that look at opportunities for venture capitalists, private equity, institutional investors, and even the lowly individual investor. I’m going to confine myself to opportunities for the individual investor. Even though the chapter on valuing the Pennsylvania Turnpike might be interesting (and in fact, having driven this road more often than I’d like to remember, I read this piece first) it doesn’t have much relevance for those of us who aren’t at the top of the financial food chain. But first, a sobering report card on U.S. infrastructure issued in 2009 by the American Society of Civil Engineers. Aviation D, bridges C, dams D, drinking water D-, energy D+, hazardous waste D, inland waterways D-, levees D-, public parks and recreation C-, rail C-, roads D-, schools D, solid waste C+, transit D, wastewater D-. Not exactly Ivy League material! So, aside from infrastructure ETFs and the standard energy, utilities, and engineering stocks, what else is out there for the individual investor? And what can we reasonably expect from infrastructure investments? Underhill’s own paper “What Is Listed Infrastructure?” suggests that infrastructure investments offer “long-term stable cash flows that have the potential for inflation hedging. In addition, infrastructure assets tend to have high barriers to entry, providing monopoly-like features. . . . They behave somewhat like a bond with their stable cash flows and provide investors the ability to participate in capital appreciation or equity upside potential as the underlying assets appreciate in value.” (p. 164) Between November 30, 2001 and December 31, 2008 (I assume that the starting date is linked to the launch of the S&P Global Infrastructure Index and hence isn’t arbitrary) global infrastructure stocks outperformed global stocks by a wide margin (10.86% vs. 0.83%). Their annualized volatility, however, was only slightly better: 14.95% vs. 15.31%. For investors who want to invest in traditional energy, master limited partnerships are an option. The folks at Chickasaw Capital Management (four authors) provide a thorough review of MLPs. Currently there are 78 publicly traded energy MLPs. They’re structured along the lines of REITs, paying quarterly cash distributions. Between January 2000 and December 2008 the Citigroup MLP Index trumped every other significant index (equities, commodities, real estate) with a low correlation (between 24% and 37%) to every one of them. Drawdowns weren’t pretty, but on balance they were less than those of the other indexes. This book is not a must-have, but for those who are seeking to diversify their portfolios it shines a light on a path often not taken. I have long daydreamed about owning CRB commodity yearbooks; the problem is that they don’t come cheap and I don’t have a compelling need for them. This year, with the opportunity to review The CRB Commodity Yearbook 2010 (Wiley), my fantasy became reality. The latest yearbook is about 375 pages long and measures 8 ½” x 11.” In addition to coverage of world commodity markets and the CRB indices, it contains information on more than 100 commodities, including such marginal items as lard and onions. To give a feel for its offerings let me summarize the data for gold. The five pages devoted to gold include some text about the commodity followed by nine tables and six charts. The tables show the world mine production of gold (2001-2009), salient statistics about gold in the U.S. (2000-2009), monthly average gold price (2000-2009), volume of trading of gold futures (COMEX, 2000-2009), average open interest of gold (COMEX, 2000-2009), COMEX depository warehouse stocks of gold (2000-2009), central gold bank reserves (2000-2009), mine production of recoverable gold in the U.S. (1999-2008), and consumption of gold by end-use in the U.S. (1989-1998). There are charts of the monthly average price of gold (1830-2009), the weekly close of gold futures (NYMEX, 2000-2009), and the weekly close of gold in British pounds, euros, yen, and Swiss francs (2000-2009). The yearbook comes with a bonus CD, and this one really is a bonus. It includes feature articles from yearbooks back to 1965. For gold there is text back to the 1970 yearbook, graphs back to 1975, and statistics back to 1970. In brief, more historical data than any commodity junkie could ever want. You’re essentially getting about forty yearbooks for the price of one. My major complaint about this book is that the charts need some major refurbishing. They look as if they were set up years ago, when computerized typography was in its infancy. The kerning, for instance, is atrocious. Nonetheless, I’m delighted to be the proud owner of The CRB Commodity Yearbook 2010. I think that traders and investors should take this to heart. In a world of great uncertainty we shouldn’t overanalyze a situation assuming that the results will be proportional to the effort. A single price bar or data point might be all that’s necessary to reduce uncertainty significantly. Waiting for the next three price bars or data points may in fact only increase uncertainty. There’s a reason that good traders often act first and think later. Moreover, when they start thinking after they enter a trade, they’re not usually looking for more reasons to justify the trade or to make a favorable outcome more certain. (One exception might be if a trader is looking to scale into a position.) They’re thinking about all the things that could go wrong. Here again, they don’t need much to reduce their uncertainty about the viability of the trade. Any data that suggest the trade is ill advised should be taken seriously and not rationalized away. Act, then reassess. Good traders can only try to reduce uncertainty, not attain certainty. It’s wise to do this in the most efficient and cost effective way possible. Richard C. Wilson’s The Hedge Fund Book: A Training Manual for Professionals and Capital-Raising Executives (Wiley, 2010) is a meat and potatoes how-to book for hedge fund managers and wannabe managers. Although it covers a range of topics, its primary focus is on what it takes to set up and run a hedge fund as a business. The extensive use of interviews with representatives from the industry keeps the tone of the book conversational. Wilson’s strength is marketing. It’s fascinating to see not only how he suggests hedge funds should market themselves, especially to raise capital, but how he markets himself and his assorted businesses. He follows the SKAR formula (specialized knowledge + authority + results = huge growth opportunities and faster development within your career or business). Here are some bullet points under establishing yourself as an authority in your niche area: (1) Publish your own newsletter or blog. (2) Interview one professional each month for your newsletter or blog. (3) Self-publish a short book based on what you have written for your newsletter or blog. (4) Speak at conferences. The Hedge Fund Book (and note the tone of authority even in the title) should be useful for anyone who wants to launch a hedge fund. Even for those of us without such ambitions it’s an interesting read. It certainly dispels any illusions that all one needs to be a successful hedge fund manager is a winning trading strategy! This piece by Dan Ariely would be funny if it weren't so true. Ecker gives more examples of mathemagical black holes and provides mathematical explanations, so math puzzlers can indulge themselves. I trust that most of my readers can analogize from this paragraph to the formulation of various trading strategies and don’t need me to connect the dots. We don’t have to buy into the notion that game theory provides an accurate model of how trading decisions should be made. Just take the passage at face value and act as if you never heard of John Nash, game theory, or a Nash equilibrium. And then, as an exercise, bracket your knowledge of trading strategies as well. From this hypothetical tabula rasa develop reasonable guidelines for each learning/trading model (the simple, sophisticated, less confident, and strategic). In some cases you’ll undoubtedly be reinventing the wheel. But who knows? Perhaps you’ll come up with a new idea or two. Mazur, What’s Luck Got to Do with It? Joseph Mazur’s new book What’s Luck Got to Do with It? The History, Mathematics, and Psychology of the Gambler’s Illusion (Princeton University Press, 2010) engagingly summarizes a broad spectrum of literature on gambling—and, yes, he considers investing a form of gambling. A former math professor, Mazur grew up in an environment where betting on horses and playing the numbers were family pastimes. He has fond memories, but he puts his money on probability theory. Mazur first takes us on a journey from the Neanderthals to the world markets in 2008. He interweaves the histories of gambling and probability theory. For instance, he notes that under Henry VII gambling was forbidden save during the twelve days of Christmas when the public “was not only permitted to gamble but encouraged to do so in church.” (p. 17) And, in addition to writing about the best known early work in probability theory such as Bernoulli’s Ars Conjectandi, he illustrates how the trigram system from the I-Ching can be viewed as an early stab at combinatorial mathematics. We can also try to tilt the odds in our favor by engaging in activities that require both skill and luck, not just luck (as in lotteries or slot machines). For instance, there are blackjack strategies that give the player a 3 percent advantage over the house. A good poker player, keenly aware of the basic odds of various hands, will be able to make an intuitive probability calculation that will at least in part inform his decision to drop, call, or raise. A couple of links from Peter Bregman’s blog on the Harvard Business Review site. First, one that’s a year old but still fresh: "Play the Game You Know You Can Win." Second, and much more recent, "A Ritual to Help You Keep Your Focus and Your Temper." One caveat: if you’re a short-term trader don’t perform this ritual on the hour. I rarely venture into the realm of fundamental analysis on this blog, but I am pleased to make an exception for Jeffrey C. Hooke’s book Security Analysis on Wall Street: A Comprehensive Guide to Today’s Valuation Methods (Wiley). A second edition of the original 1998 text has just been released. For some bizarre reason the publisher sent me the first edition as a review copy. I assume that the second edition updates the stocks used as examples and addresses both newer methodologies and recent market concerns. If it improves in any way on the 1998 text, that’s great. All I have to assume for this review is that it doesn’t diminish the qualities of the first edition. To many traders and investors security analysis seems like one big yawn. The most they do is plug some values into an online stock screener and, voilà, out comes a list of great trade ideas that for some strange reason seldom pan out. Hooke’s book demonstrates beyond a shadow of a doubt that security analysis is not boring. In clear, easy to understand prose it takes the reader from the basics to special cases such as natural resource stocks and distressed securities. Throughout Hooke is commonsensical and hands-on. He shows how analysts work and some of the practical and theoretical difficulties they encounter. Let me highlight one problem here—figuring out how to forecast future sales. Sales projection techniques, he states, fall into three categories: time series, causal, and qualitative. The time series method assumes that the future will be like the past and hence is popular in calculating projections for stable industries like food and utilities. Analysts use tools familiar to technical analysts such as moving averages and trendlines. But there are obvious weaknesses in this method. First, it cannot predict turning points in a company’s performance and, second, it does not take into account business cycles. Causal techniques “forecast a company’s sales by establishing relationships between sales and variables that are independent of the corporation” (p. 204) such as housing starts or demographics. Quantifying these relationships requires regression formulas and econometric calculations. Causal forecasting is useful when analyzing established companies with a reasonably long operating record. Finally, there are qualitative techniques that should be used in developing projections for every company. They are mandatory in the case of pioneer or growth companies offering new products and services where “the sales forecaster is left with expert opinions, market research studies, and historical analogies as his analytical tools. Sometimes, the result is nothing more than educated guesswork.” (p. 205) But at least it’s educated. I particularly enjoyed Hooke’s chapters on modern approaches to valuation (intrinsic value, relative value, and acquisition value) even though I suspect that they have been significantly updated in the second edition. But I doubt that he will change the math in the section “How High Is Up?” He writes: “If you buy a 50 P/E stock today and plan on selling it at a 20 P/E (which is still above average) in five years (when the issuer’s business is likely maturing), the earnings per share of the company must quintuple for you to realize a market-type [that is, 14%] return.” (pp. 240-41) Investors in the dot.com bubble, where P/Es could easily get into the 100s, might have saved themselves a lot of financial grief by reading this single sentence from Hooke’s book. I’m certain that readers of the second edition will be able to profit (or avoid downside risk) equally well. I can highly recommend this book for anyone who does position trading or investing, even the confirmed technical trader. It provides methodologies for finding investment opportunities and continually reassessing positions. With some educated guesswork the reader might even outperform those analysts who wait until a stock has cratered before changing their buy recommendation. I have admitted more than once on this blog that I am no systems designer. To be a good at creating trading systems you must be imaginative, comfortable in the world of probability and statistics, and have basic or better programming skills. I may have imagination, but that’s about it. The best blend that I’ve found among active bloggers is CSS Analytics. But let’s go back ten years, to Michael Harris’s Short-term Trading with Price Patterns (Traders Press, 2000). The book is obviously dated and some of its methodology is—I’m looking for a more scientific description but what comes to mind is—clunky. Nonetheless, this book is an interesting attempt to combine price patterns and probability. Harris focuses on the futures markets. The basic idea is to identify profitable short-term trading patterns, normally between three and seven bars, and then combine them into a trading system. That is, an entry would be triggered if Pattern A or Pattern B or Pattern C, etc. was identified. Harris goes beyond simple pattern trading, however, by introducing his p-Indicator. It is in effect a weighted probability function. Let’s say that your system consists of three patterns. You first hypothesize a target and a stop for each pattern. (Harris normally uses the same figure for both the target and the stop, measured in points.) You then look at the entire price history of the particular futures market, analyze both long and short trades, and determine how often each pattern occurred and the percentage of the time that each hypothetical trade met its target before it was stopped out. 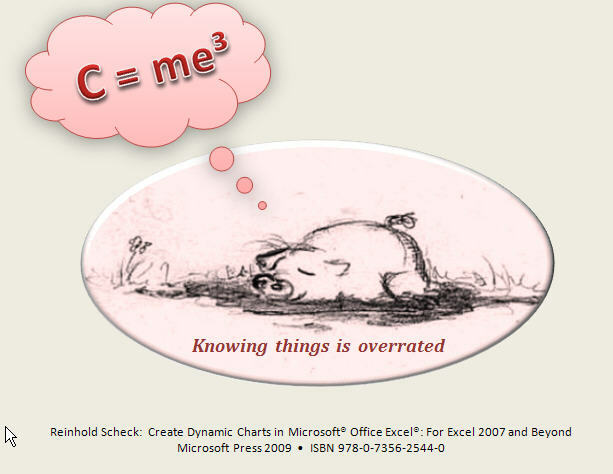 The formula will return a weighted profitability percentage. The closer the value is to 100%, the better the trading results. Harris says that 60-70% offer good results. The p-Indicator, he claims, provides both an entry signal and a way to size trades. There are many ways that one could improve on Harris’s methodology, which I’ve sketched in only the broadest strokes here. But I like the idea of having an entry signal which is not simply binary. I know that others have swum in these non-binary waters. For instance, MarketSci Blog had a post more than a year ago about transactional vs. confidence-based trading strategies and Condor Options distinguished between binary and polynary strategies. But unless there’s a shark or a tar ball alert there should be ample opportunity for many more to join in the fun. Back when you took Econ 101 did you ever think about applying microeconomics to the markets? Probably not. And I would guess that even today most traders and investors are content to repeat the mantra that markets are driven by supply and demand even if they’re not quite sure how supply and demand actually work in the markets. Robert A. Schwartz in Micro Markets: A Market Structure Approach to Microeconomic Analysis (Wiley, 2010) has written a text that should bring everybody up to speed. Given some familiarity with microeconomics and the markets it’s not a difficult read, but it definitely fills some gaps. Schwartz addresses several major themes: supply and demand (which not surprisingly takes up more than half the book), competition, market efficiency, and regulation. Here I’m going to confine myself to a few points that Schwartz makes about supply and demand. Let’s assume a continuous electronic, order-driven market. How does the limit-order book function in such a market? “How do the forces of supply and demand guide the continuous order-driven market in the direction of an unobservable, underlying equilibrium price?” (p. 154) First, both limit and market orders are available to the trader, and “transactions are triggered by the arrival of market orders that execute against the posted limit orders.” (p. 155) Limit orders leave the book if there is a transaction or if they are cancelled for one reason or another. Limit orders can also be repriced—upward if sentiment turns positive, downward if it turns negative. In the former case the buy side of the book will start to fill in at higher prices; in the latter, the sell side will fill in at lower prices. Bids and offers are made at discrete prices, so any graph of the limit-order book will look like ascending and descending staircases, almost meeting at the bid-ask spread. But we know that supply and demand are not graphed as discrete step functions; they are curves and, as such, are continuous linear functions. How, then, can we claim that they model the limit-order book? Schwartz explains that “because trading is costly, not all potential investors participate in each trading session, and each individual order is only a partial representation of what an individual trader’s complete demand curve might look like. Consequently, on both sides of the market, much of the desire to trade is not expressed, it is just latent.” Expressed desires look like stairsteps; “the complete individual demand curves of everybody who is in the market” give us the Econ 101 graph. One more point: the deeper the order book the flatter the cumulated buy and sell order curves. Or, put in the language of the markets and of microeconomics, the deeper the book the more liquid it is and the more elastic the buy and sell curves are. Here I’ve offered only a glimpse into Micro Markets. It would make an excellent college text, but it also provides the perfect opportunity for the trader or investor to gain a new perspective on his world. And it won’t take you a semester to get through it. I don’t and won’t write about my trading, the good, the bad, or the ugly. Suffice it to say that in order to trade successfully intraday I have to dial my left brain way down, which is difficult for me to do. But I think I’ve come as close to a solution as possible. For me it’s primarily in the warm-up to the trading day. Let me begin with four failed strategies. First and most disastrous for me, market analysis, defining a bias for the day (long or short, trend or mean reversion, breakout levels—lots of possibilities). It seems so logical to prepare for the trading day this way; after all, as Louis Pasteur said, chance favors the prepared mind. But it hogties me. Second, physical exercise. Quite simply, it doesn’t make a difference one way or the other. Third, puzzles. If I can do them relatively easily this “mental exercise” numbs my brain, my whole brain. Market action could just as well be Brady Bunch reruns; I find it difficult to become engaged. Fourth, CNBC. On balance I find CNBC a distraction. I do, however, read headline business news (Bloomberg, FT, WSJ) and I know when economic and earnings reports are going to be released. I don’t go into the day unaware of the news flow. And, what you’ve all been waiting for, the solution that can be yours for only $19.99 plus shipping and handling. Unfortunately, I suspect it has a very limited market. For me (and realize that I get up at least four hours before U.S. floor trading begins, though I don’t consider 9:30 ET a sacrosanct market open) the absolutely best way I’ve found to warm up for the trading day is to stress my left brain to the point that it has to take a lengthy rest. The MIT linear algebra course is a good example. After I listen to a lecture or two and even take notes like a good college student, I’m primed for the trading day. My left brain has had all the stimulation it needs for several hours, and it can turn over command to the autopilot brain. My solution may be totally idiosyncratic; then again it might help at least a couple of traders in the world. There, I’ve bared my soul! The Profit Hunter: Beating the Bulls, Taming the Bears, and Slaughtering the Pigs (Wiley, 2010) by Neil DeFalco is a survey of strategies for small- to medium-sized investors, most of which rely on the use of derivatives. About half of the book is devoted to options—the basics and a catalog of strategies (when to use, profit potential, risk, and breakeven points). DeFalco then moves on to FOREX, commodities, single stock futures, and international investing. Any investor who seeks to profit from this book should be reminded that a little knowledge is a dangerous thing. No retail trader can compete against the big boys after reading a basic survey. He will end up on the wrong side of the trade, being beaten, tamed, or slaughtered. The value of DeFalco’s book lies in the fact that it lays out a range of possibilities for the investor to pursue and practice trading in a paper account. Perhaps as a result over time the investor will find his niche and become truly skilled. Collins is the author of several books, including When Supertraders Meet Kryptonite, which I wrote about back on July 27, 2009. He continues to share his market insights at Tiger Shark Trading and other trading sites. Why should we care about this guy’s struggles? After all, might not Tolstoy’s opening line to Anna Karenina—“Happy families are all alike. Every unhappy family is unhappy in its own way.”—be equally true of traders? I suspect not. On the contrary, my hunch is that it is struggling traders who tend to be alike and successful traders who are each successful in his/her own way. But Collins has a knack for describing his struggles in sometimes memorable images, lending them an element of uniqueness. Collins himself is a mechanical systems trader, and he shares some of his own creations. In style they are similar to one for the British pound: If c > average(c,10), then buy the next bar at open of tomorrow + average(range,4); exit long next bar at c-0.32. Or, an optimized n-day breakout with an exit at the n-day median. Or an S&P day fade: If the close is below the previous eight-day close, buy the next open plus 30% of the previous range on a stop. If it’s above the eight-day average, sell it at the open minus 45% of the range. All in all, Market Rap is perfect summer reading for traders, all of whom struggle from time to time. 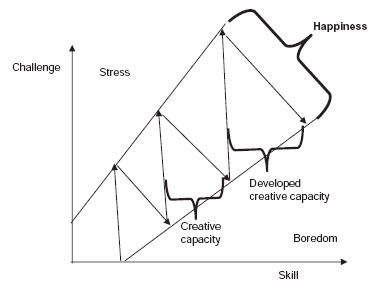 In his book Creativity Unlimited Micael Dahlén outlines some paradoxical qualities that creative people exhibit and that the plodding can be trained to strengthen. First, creative people are both conventional and rebellious. Second, they are both divergent and convergent thinkers. That is, on the one hand they think differently and hence break patterns and, on the other, they try to collect thoughts (“even the maddest ideas”) into a pattern. Fourth, they are both humble and proud. Fifth, they are both introverted and extroverted. And finally, they use both sides of their brains. How do you measure up? I fall decidedly short on the third quality. The Known, the Unknown, and the Unknowable in Financial Risk Management: Measurement and Theory Advancing Practice (Princeton University Press, 2010), a collection of fifteen papers edited by Wharton professors Francis X. Diebold, Neil A. Doherty, and Richard J. Herring, applies the KuU conceptual framework to the financial world. It is a bold book, tackling both theory and practice and spanning the worlds of (among others) banking, insurance, real estate, and investment. It is also utterly engrossing. There is no way I can do justice to the wealth of material in this book. It incorporates ideas from behavioral finance, statistics, and epistemology; it addresses a range of questions from portfolio management and crisis management (and, no, portfolio management should not be a case study in crisis management) to corporate governance. For the “idea junkie” it’s a real high. Let me simply touch on a few salient points. In Creativity Unlimited: Thinking Inside the Box for Business Innovation (Wiley, 2008) Micael Dahlén reacquaints us with the work of Mihály Csíkszentmihályi and his thesis that people are happy when they stretch their creative capacity, avoiding the pitfalls of stress and boredom. Staying inside the happiness channel is tough for the trader. Initially his skills are not up to the task, so he is stressed. Eventually his skills more or less match the task at hand, and he becomes bored. Yes, we’ve all read that trading should be boring, but who really wants to be bored all day long? So the trader has to keep defining new challenges for himself. Perhaps it’s to increase size, perhaps it’s to fine tune execution skills, perhaps it’s to develop a new strategy. The list could go on and on. The fact is that we’re never as good as we could be. Moreover, since the markets are ever changing, we should realize that just about the time we start being really bored we’re likely to get kicked in the gut. If we want to continue to be profitable (and happy) we have to keep our creative juices flowing.